Thanks to the many sponsors who come on board with financial and in kind support. Go Raibh Mile maith agaibh! All the other generous donors and local businesses who supported us. At 7pm all props and parade participants will exit from the Craft Centre, Shandon and follow the proposed parade route down Church Street. Between 7.30pm–7:50pm the Parade will descend Shandon Street. Required road closure from Church Street – Shandon Street in the direction of North Gate Bridge with the cooperation of the Gardaí. The parade will reach the junction Shandon Street/North Gate Bridge by 7:50pm and will cross the bridge (in the north bound lane) and head towards North Main Street (under the direction of An Garda Siochána). The Parade Continues through North Main Street at 8.00pm (temporary closure of traffic from Grattan Street and Kyle Street at this point). At the end of North Main Street the parade route will turn right at Castle Street at 8.15pm (Castle Street traffic to be held at Coal Quay and Castle Street Junction). 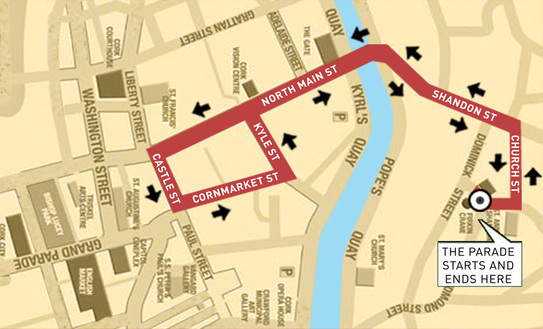 Parade will proceed up Castle Street onto the Cornmarket Street at 8.25pm and turn onto the paved area at Dennehy’s Bar (Left Turn). Parade will enter traffic again at Kyle Street and will turn right onto North Main Street onto the North Gate Bridge again (north bound lane) and up Shandon Street where a 15 minute road closure at the top of Shandon Street will be required between 8.40pm and 9pm in order for the parade to mount Shandon Street as far as Church Street Junction. The parade will finally turn right along Church Street at 9pm and will arrive back at the Craft Centre at 9.10pm via Church Street. All Day on Monday the 31st of October , Dominic Street, John Redmond Street, Church Street and Exchange Street in Shandon will remain closed to traffic. Pleas refrain from parking in this area and along the route on the bank holiday Monday to ensure the smooth running of the parade. A big thank you to everyone for taking part in the table quiz ! Thanks to the Four Liars Bistro for letting us use this place and for the finger food ! 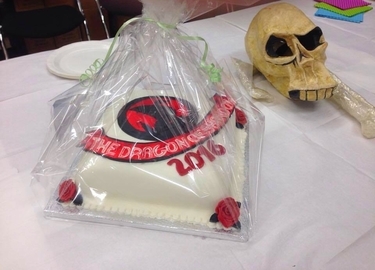 A big thank you to everyone for taking part to the launch of The Dragon of Shandon 2016! And we also thank DJ IAN FIASCO and Onthepigsback Ireland for catering ​! This event is open to the public. Feel free to share the event page. The more the merrier! We would like to say a massive THANK YOU to everybody who donated to our recent Fundit campaign, as well as everyone who shared and publicised it! It was nail-biting coming up to the deadline today, but in the end, with your help, we got to our target of €2,000. In fact, we did better than that – we reached €2,165.! 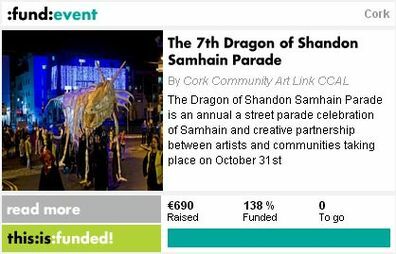 Thanks to your support, we're going to make the Dragon of Shandon Parade more wild, weird and wonderful than ever before! Your donation is going to help us to create amazing collaborations between community groups to produce something spectacular for the people of Cork this Halloween. Your contributions are really appreciated, and we can't wait to make this year the best Dragon yet! Many Thanks for the very generous donation from Cork City Council, Environment and Recreation Directorate!! With their help we can continue our work with people to create sense of community identity and collective pride enabling people to learn more about themselves and the world around them while having fun. ​We are happy to announce our fabulous 'Help Feed the Dragon' fundraising quiz will return this year on Tuesday 18th October in the Four Liars Bistro. Cost of entry is 10 euro per person (40 per table) and there will be a cash prize for the winning team. Expect lots of fun and free nibbles kindly donated by the Four Liars. More details will follow soon! Join us in one of our two work spaces and help with building giant props and puppets, painting, costume-making, photography, videography, event organisation, music, sound, lighting, and taking part in the Dragon of Shandon parade on October 31st. If you fancy getting creative and participating in an amazing community arts festival, get in touch by emailing info@corkcommunityartlink.com, calling 021 4553747, or just drop in to the Lido or the Marina during the hours listed below! Cork Community Art Link invite you to join their Free Drama classes, starting on September 6th. The workshops are an introduction to the drama techniques focusing on the building of a street performance that will be held on the day of the parade. 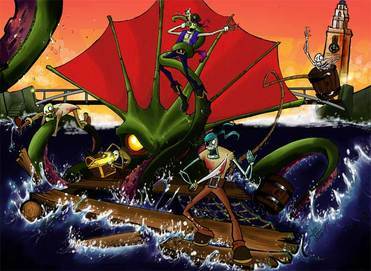 Paricipants will also take part in the Dragon Parade itself. The classes take place at the Old Lido in Blackpool, every Tuesday at 7PM and are for adults only. Congratulations to our Dragon of Shandon Monster Draw Winners announced on Monday 15th at the official draw in The Maldron Hotel. 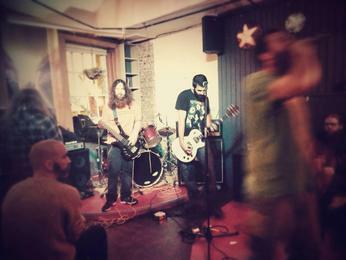 The Feed the Dragon fundraising gig has rocked The Roundy. We had a great line-up of music and fun, with a few surprises along the way. A huge thank you to everyone who supported Feed The Dragon fundraiser last night! The gig raised over 400 euro for this years event!! A special thank you to our incredible and eclectic line up: Bubbashakespeare and the Urban Hippies, The Playlist and Five Will Die!! 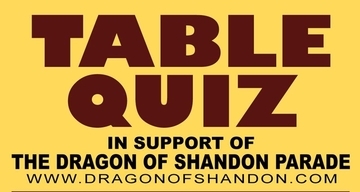 All funds raised will help to make the Dragon of Shandon bigger and better than ever! 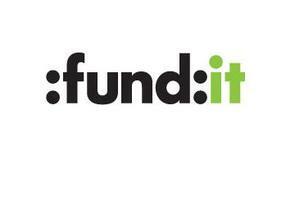 Thank you very, very much to everyone who donated to the Fundit campaign! 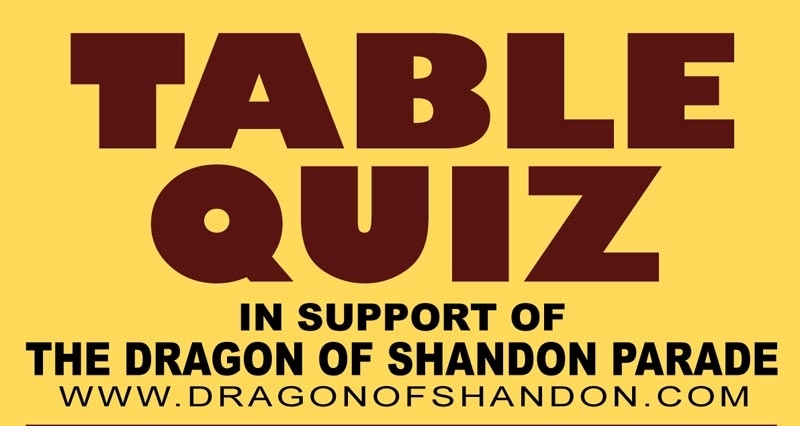 We made our target, and then some Your generous donations are going to help us get on with the important work of bringing the Dragon of Shandon back to life. This year the renowned Dragon of Shandon returns for a 3 day celebration of Samhain (Halloween) from the 29th to the 31st of Oct. Taking place in Cork’s Cultural Quarter, Shandon. This new, bigger and wilder event promises to amaze. 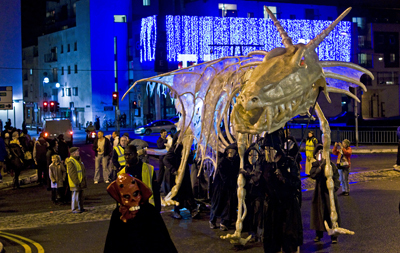 Facilitated by Cork Community Art Link and established in 2006, the Dragon of Shandon Parade has become an annual event in Cork’s cultural calendar. This year will host the inaugural Dragon of Shandon Festival, an expanded event created, organized, and performed by over 500 volunteers, groups and organizations including; Cope Foundation, Enable Ireland, National Learning Network, Cathedral Cairde Youth Club, YWI Cork, Playground of Dreams, Cork Swing Dance Collective, Circus Factory, numerous artists and lots more. For 2 days a big top erected in St Anne’s Park will form the hub of the festival hosting a variety of activities for families by day, while a cabaret of banshees, live music and performances will entertain by night. There will be circus, live music, wall running, lantern making, food, workshops, local film shorts, and lots lots more. In addition to the festival tent additional venues in the locality will host other events. 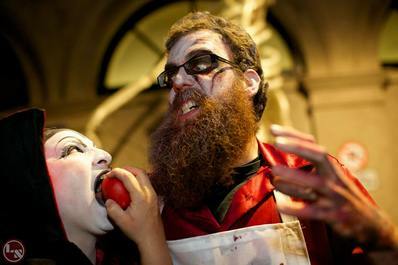 In the Firkin Crane you can get your freak on to Dance Spooktacular running from the 28th to the 30th of Oct, while ghost story tellers unveil the more obscure history of Cork in Shandon Tower and the garden of the Butter Exchange will provide a family fun play space of traditional Samhain games. And all this is in expectation of The Dragon of Shandon Parade, as once again the 36ft Dragon made entirely of tape and his host of pucas and strange creatures will rise from the underworld accompanied by hundreds of performers from local groups and organisations to walk with you and celebrate the feast of Samhain. 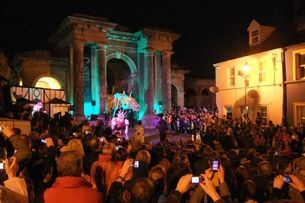 The Complete Dragon of Shandon Festival programme will posted shortly. On June 2nd 2014, Cork Community Artlink will be participating in the Cork City Relay Marathon to help raise funds for The Dragon of Shandon Festival. This year will see the expansion of our annual Halloween Parade into a festival providing opportunities for local youth groups, organizations and venues to host free events over a 3 day period. We have put together an amazing team of brave volunteers and they need your support! 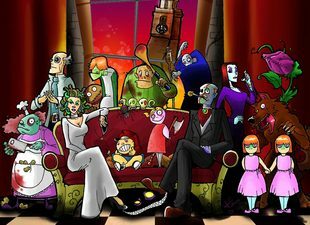 Please make a donation and help us launch the most exciting Halloween community event Cork has ever seen! Without further ado, let me introduce our valiant runners! I'm Sonia, I'm 25 years old and I come from France. In my spare time I like discovering new places in Ireland and spending time in bed! I’m running for the Dragon of Shandon Festival 2014 and my favorite thing about dragons is the impact that Artlink’s parade has on kids’ faces! I’m Suzanne, I am from Blackrock. 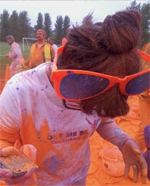 In my spare time I like to run. 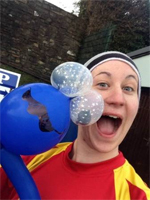 I am running for the Dragon of Shandon Festival 2014 and I like dragons because there are fast and fiery just like me! I'm Emma, I'm 26 years old and I come from Newcestown, Cork. In my spare time I like to run and & play with my dog. I am running for the Dragon of Shandon Festival 2014 and my favorite thing about dragons is that they are quick and can breathe fire! 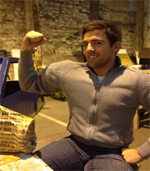 I’m Tomas, I'm 31 years old and I come from Cork. In my spare time I like to swim, I am running for the Dragon of Shadon Festival 2014 and my favorite thing about dragons is the fire that comes from their bellies!! I’m Antony, I am 21 years old and I come from France. In my spare time I like to stuff cellotape up my jumper. I am running for the Dragon of Shadon Festival 2014 and my favorite thing about dragons is that they are really strong like me !! 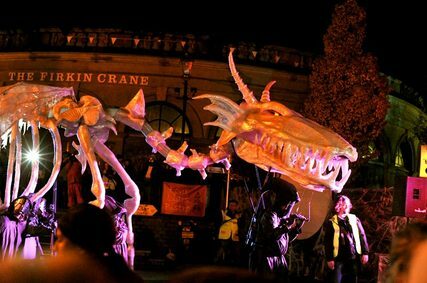 Cork Community Art Link is excited to announce the new Dragon of Shandon Festival which will take place this Samhain from October 29th to 31st 2014 in and around the streets of Shandon. This new festival format has been in planning since August 2013, as CCAL embarked upon a journey to develop the Dragon of Shandon into a more inclusive and sustainable community event. 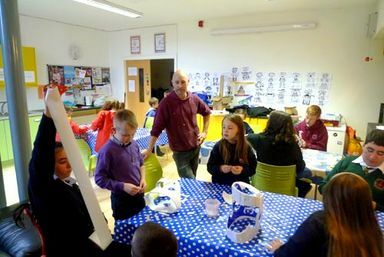 Engaging with the local community and interested groups and individuals the aim is to provide an extended programme of events which provides greater opportunities for participation. In August 2013 CCAL embarked upon a journey to transform the renowned parade into a 3 day festival. in collaboration with local groups, organisations, venues and individuals providing a diverse programme of activities, performances and workshops, show casing local talent and offering opportunities for people of all ages to get involved. 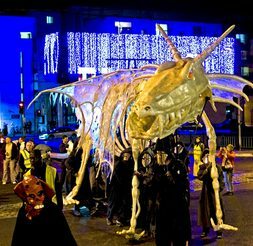 The festival will culminate in the Dragon of Shandon Samhain Parade on Friday October 31st with the 36 ft Dragon made entirely of tape and his host of ghosts and ghouls returning to the streets of Shandon. Congratulations to our winners and thank you to all those who participated in the draw and sponsored prizes. Behind the Screams - Free Shows! 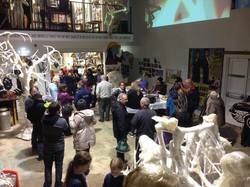 Cork Community Art Link invites you to a behind the scenes tour like no other. 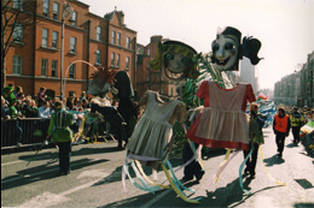 Learn the dark secrets of Cork's infamous parade The Dragon of Shandon. Encounter strange characters, demented costumers, crazed artists and discover what really happens when the Dragon awakes for one night each year. 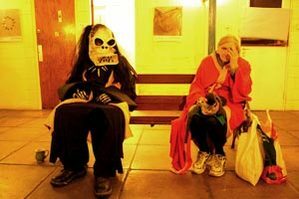 CCAL Drama presents 4 immersive site specific performances at 107 Shandon St. in this unique production which will scare, surprise, and amuse. For further information contact 021 4212914. Maximum capacity 20 persons per performance. The 7th Dragon of Shandon was launched by Deputy Lord Mayor Councillor Patricia Gosch on Tuesday 9th of October at a pumpkin soup reception in the garden of the Butter Exchange Building. CCAL's Drama group were on hand to entertain over 100 guests who came to support this years event. Director of Services Jim O Donovan also spoke and wished this years participants the best of luck. A special thanks to The Buttercup Cafe for their tastey spread of Pumpkin Soup and homemade brown bread. Thanks also to Aisha from the Indian Spice Shop who provided a taste of india for guests on the night. The Shandon Area Renewal Association will host a fundraiser on Wednesday 17th of October at 8.30pm in the Four Liars Bistro in Shandon to raise funding for the 7th Dragon of Shandon Samhain Parade. Entry fee: 30 Euros per table. All funds raised will go towards the participatory and youth outreach programme which forms the cornerstone of the project each year. Art Machina have arrived to join the creative team for this years event. 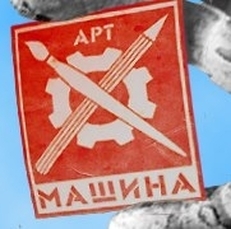 Stuart McColloch and Mariya Rizova formed Art Machina in 2011 providing access and support to local communities to create their own culture in Plovdiv Bulgaria. 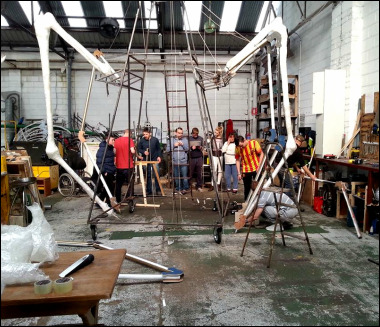 Art Machina will be working with Cork Community Art Link on this years parade bringing a bulgarian twist and some new additions in the shape of props and puppets. More about their work on their facebook page here. 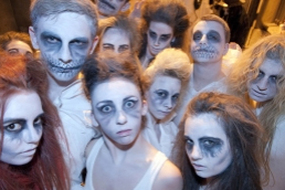 This year we welcome back the Colaiste Stiofan Naofa Dance Crew who joined the team last year. Led by PJ Kirby, Dance Faciliator, the crew will collaborate with the Cathedral Cairde Youth Group to create a unique funky and most importantly freaky dance choreography for this years event. "Working with the team at Cork Community Art Link has been a great experience", says PJ, "and taking to the streets for The Dragon of Shandon is a unique experience for us as dancers". We are currently looking for a team of up to 10 people to move the Dragon on the night of the parade. Being a Dragoneer involves moving articulated limbs of the dragon in a synchronised movement. Its good fun and if you can commit to being available for a couple of rehearsals before the parade we would love to hear from you! The Butter Exchange Brass Band, or the “Buttera” as it is known, is one the best-known brass and reed bands in the city of Cork. The band was established in 1878 but has roots in a small band established for religious purposes by Fr. John McNamara, a curate of the North Cathedral. 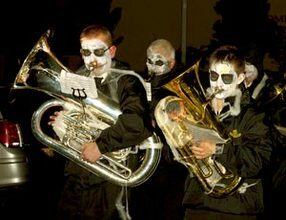 This will be their third participation in a row in the Dragon of Shandon Samhain Parade. Francesca Castellano will be creating costumes for the performers of the Drama group that will run several shows prior to the parade. She will also be collaborating in the development of the characters and the decoration of the various set that are gonna be used. 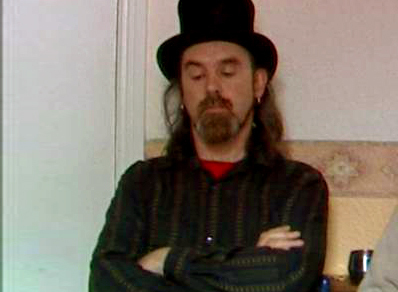 Giordai (Gearóid) Ua Laoghaire hails from Cork. The last letter in the word Cork is K which is the first letter of Kreuzberg, where he now resides. Kreuzberg is in Berlin and Berlin is the capital city of Germany. Both the Irish capital and the German capital share the same last three letters. Even though G is the first letter in the personal name Gearóid and the first letter in the place name Germany, his mother's people on her mother's side all hailed from Baile Mhúirne. He has, however never lived in Baile Mhúirne though at one stage he did have a strong desire to. He has however lived in the aformentioned Irish capital city of Dublin which also called Baile Átha Cliath ( Príomhchathair na hÉireann), not to be confused with either Baile Mhúirne ('Príomhchathair na Gaeltachta') or Berlin (Príomhchathair na Gearmáine). Anyway, Giordai likes words and music and currently plays with the Berlin Sound Painting Orchestra. Sound Painting should not be mistaken for Sound Art. The former being a method of presenting improvised music on the concert stage using a conductor plus signals and the latter has something to do with filling in funding application forms. Our Dragon of Shandon Community Outreach Programme is in full swing. We are currently running workshops with the North Mon, North Pres and St Vincent's School Completion Programme, Blarney St. Youth Club, Gurranabraher Youth Development Centre, Cathedral Cairde Youth Group and St. Kevins After School Programme amongst others. 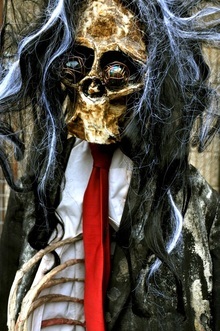 Amazingly creative and creepy creations are starting to emerge and will be ready to hit the streets of Shandon on the 31st October. A big thank you to everyone who supported our fund:it campaign. It was a great success exceeding our target. Thank you to our generous donors, your continued support is greatly appreciated. 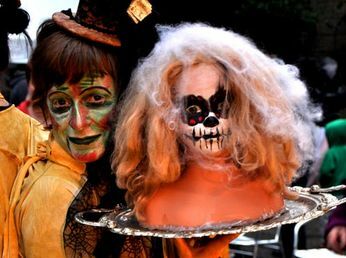 This year Cork Community Art Link is looking for 20 of Cork's Freakiest Families to participate in this years parade and walk with the Dragon on Halloween night. Families are invited to our open consultations to receive advice on costumes, design and face-painting from our team of experts before taking part in the parade on October 31st. 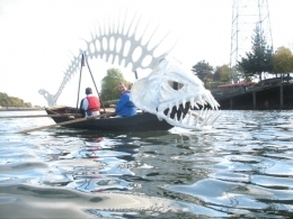 Once again, Naomhoga Chorcai will be involved in the Dragon of Shandon bringing our majestic skeleton fish boats along the Lee to illuminate Pope's Quay. This year will also see a brand new installation on the water and a light installation on Shandon Footbridge Bridge. 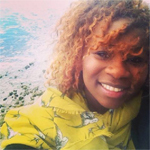 Check out Naomhoga Chorcai's website here. 1 week - 500euro - lets make this happen! The Dragon of Shandon Parade is growing and you can get involved by helping to make it bigger and better than ever before. We have set ourselves the challenge to raise 500euro in 7 days through Fundit. Your donation will go towards our extensive outreach program and make it possible for more community groups and individuals to take part on the night. In return we have a number of rewards for you! To support the Dragon click the link here. 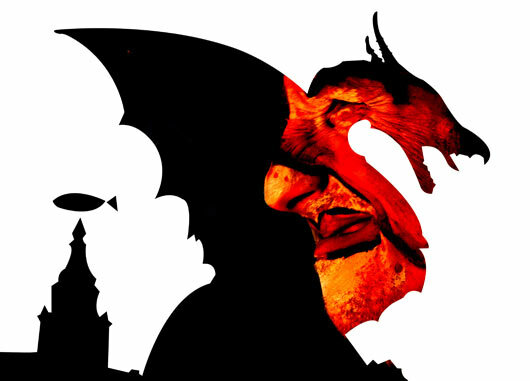 We are delighted to have graphic illustrator Leoandro Seva working with the team this year. He has created a series of illustratrations depicting the new additions to this years parade. Leandro is part of our CCAL Placement Program which facilates students from abroad to come and work with our team to develop new skills and gain experience in the arts. 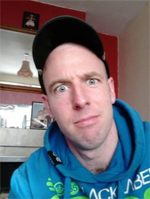 Cork based Director and Multimedia artist, Fernando Tunon will be in charge of the free Drama workshop that will lead to several shows in the days previous to the Samhain Parade. If you want to take part, just call in every Tuesday from 7PM to 9 PM at 107 Shandon Street. Fernando's website could be seen here. Cork based puppetry company established in 2002 by Cliff Dolliver and Mick Lynch, Dowtcha Puppets will be another beautiful collaborator to this years event. 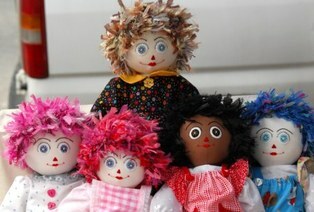 Visit the Dowtcha Puppet website here. Roseanne Kidney and Moray Bresnihan from Goldifish Events are supporting this year's Dragon of Shandon with their professional event management supports and advice. More info about Goldifish here.